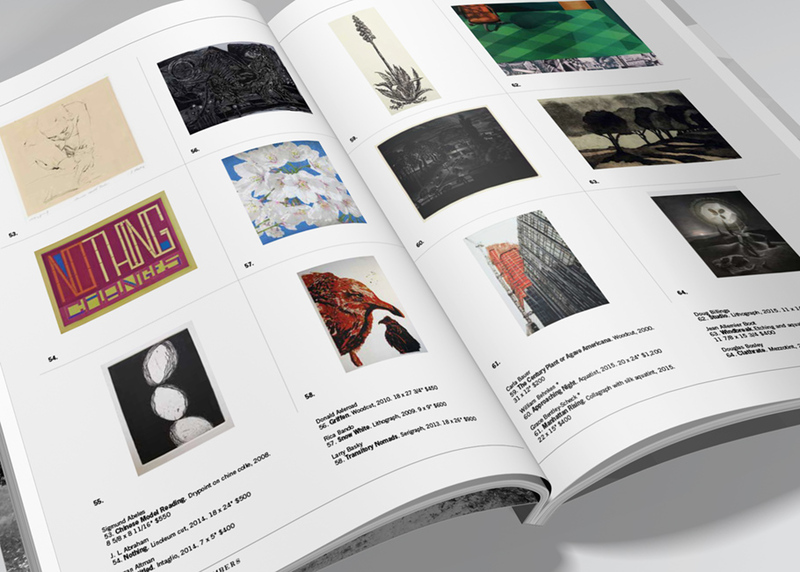 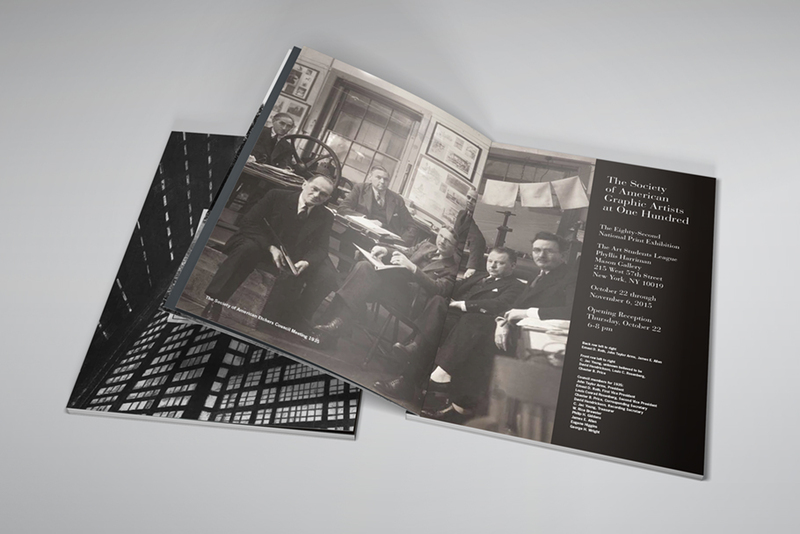 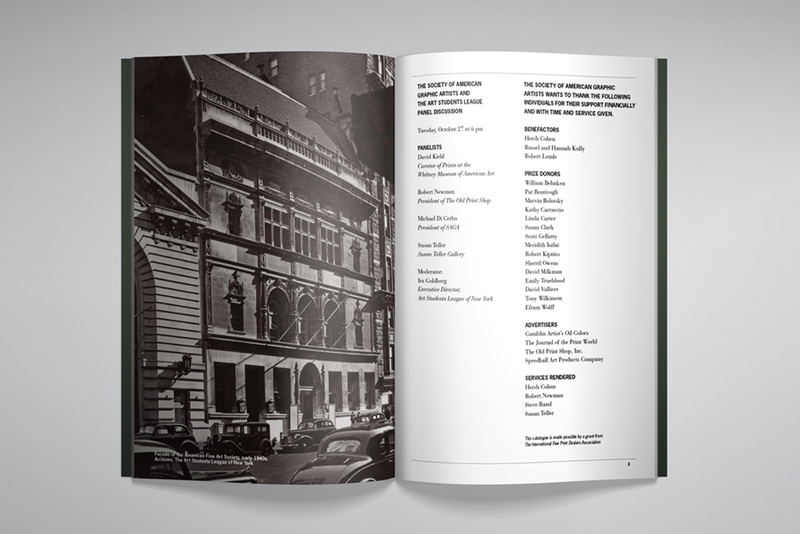 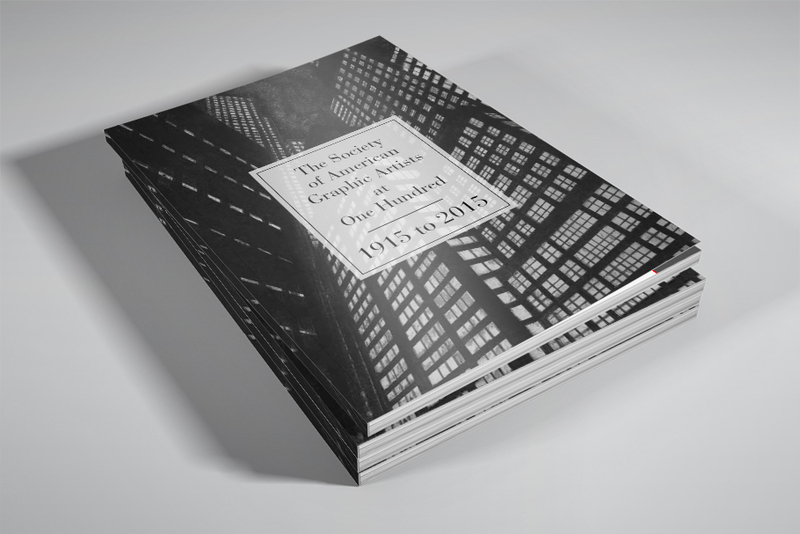 Catalog design for the 100th anniversary of a New York artists organization. 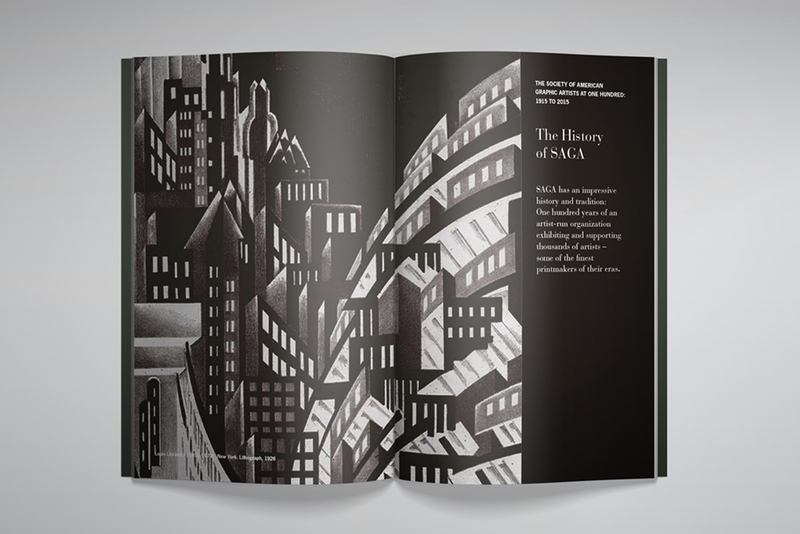 SAGA, The Society of American Graphic Artists, a not for profit national fine arts organization serving professional artists in the field of printmaking, was preparing to celebrate its 100th Anniversary with an exhibit of more than 200 fine art prints by current and past members and asked us to design the catalog for the event. 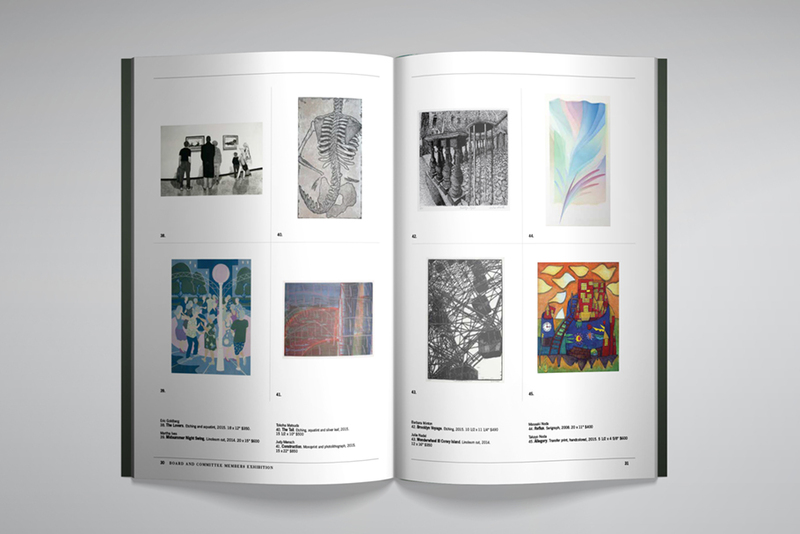 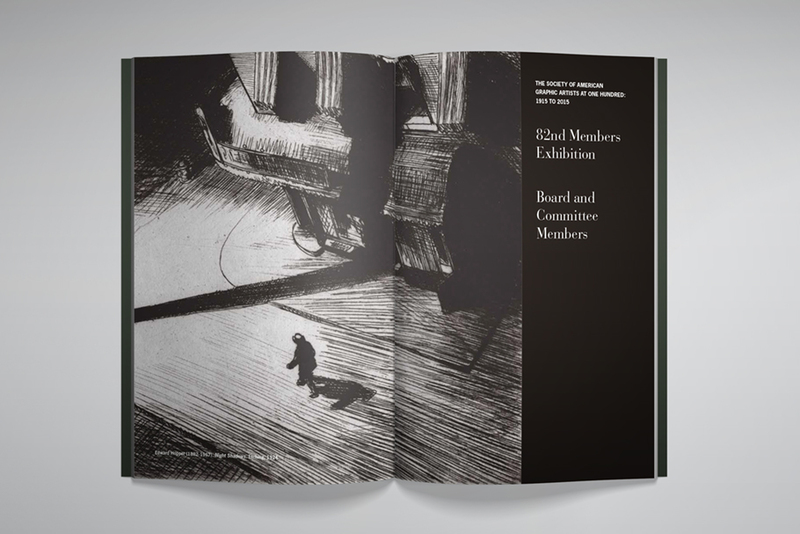 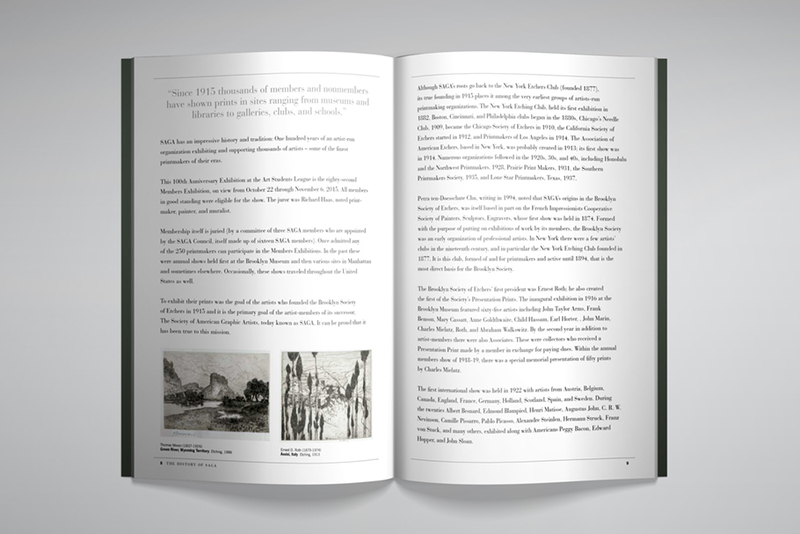 We created an elegant and timeless design paying equal homage to each of the artworks being shown, to the organization and its history, to its noted membership — all while operating within a limited page and printing budget.